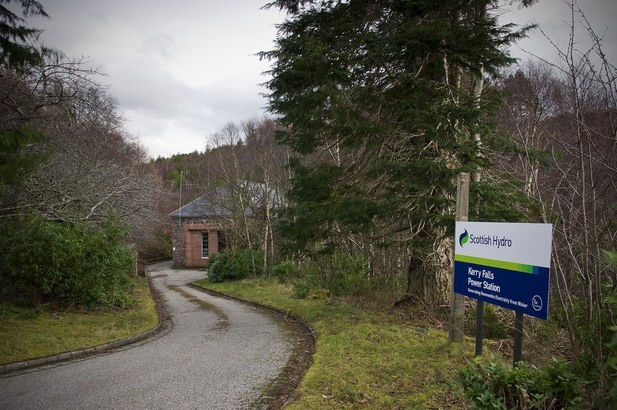 When it opened in 1952, Kerry Falls’ two main turbines powered about 350 homes around Gairloch. They are fed from a dam at Loch Bad an Scalaig. In the 1940s and 1950s, the government built a number of small hydro systems to serve isolated communities. Today, Kerry Falls feeds into the national network. The power station’s slate roof and random pattern of stones allow it to blend into the landscape. This thoughtful approach to the look of buildings and dams helped local people to accept the hydro schemes.